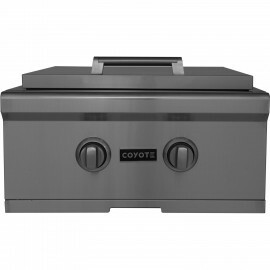 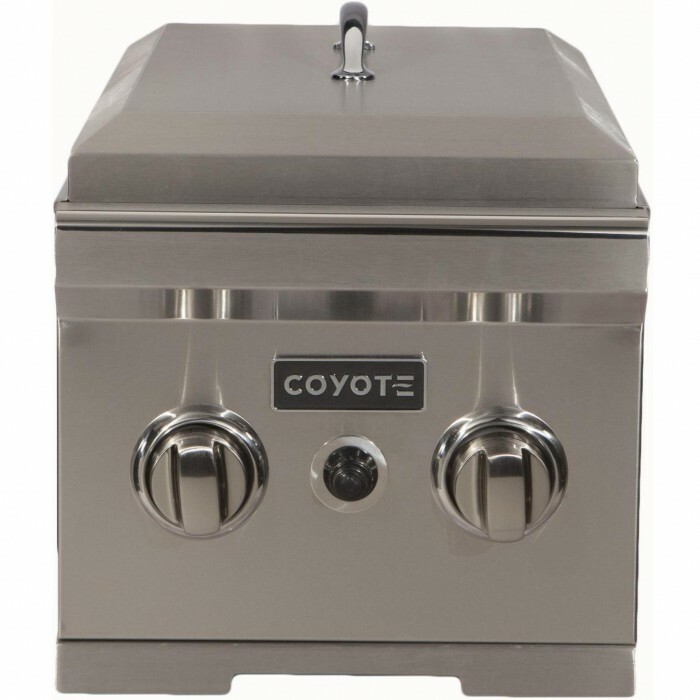 Create the outdoor kitchen of your dreams using Coyote BBQ island accessories made to last and give remarkable performance. 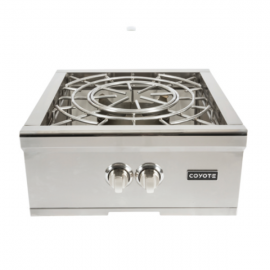 This gas built-in side burner is equipped with two brass burners that delivers up to 30,000 BTUs for cooking side dishes and sauces with ease. 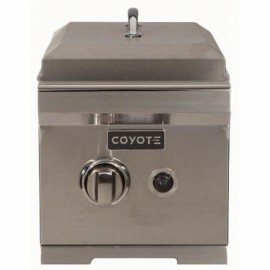 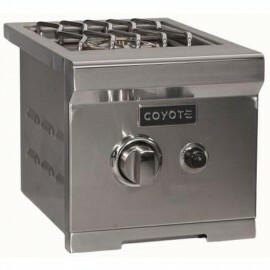 The premium 304 stainless steel exterior combined with the stainless steel cooking grates add to the heavy-duty and long-lasting construction of this dual burner. 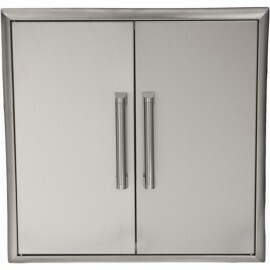 An included stainless steel cover provides additional protection from the outdoor elements.